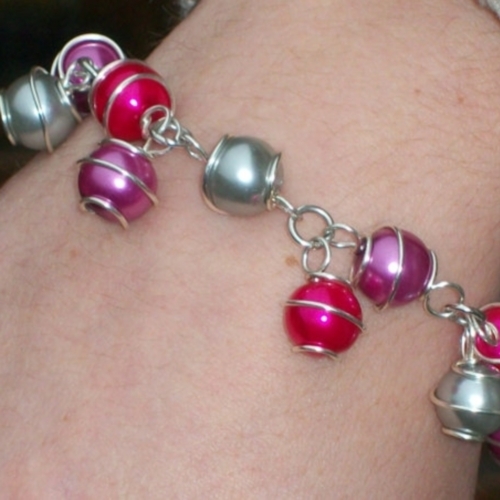 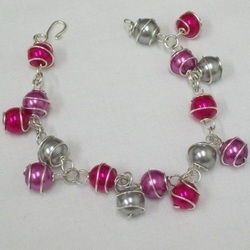 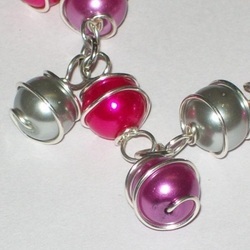 Featuring links of wire wrapped glass pearls in hot pink, purple and silver and free hanging caged beads create charms around the bracelet. Hand wrapped using silver plate wire and finished with a hammered hook clasp. 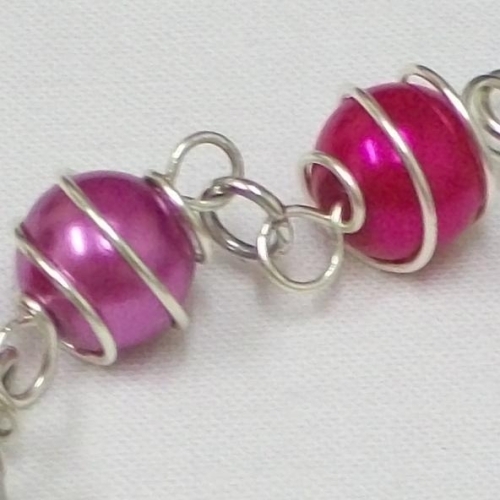 The bracelet measures 8"/20cm approx including clasp.